In hot Arizona summers, it's important to have an efficient cooling system. If a home has leaky ducts, its cooling system will not perform at its best, and will end up costing the homeowner extra money in higher energy bills. Sealing leaky ducts can help. Leaky ducts are not rare. In fact, the federal Energy Star program says that the average home loses 20 percent of its conditioned air through leaky ducts. 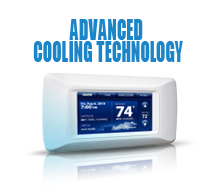 This wasted cooled and heated air means the home's cooling and heating system will perform less efficiently. American Cooling and Heating recommends that if cooling and heating bills go up, ducts should be inspected for leaks, as higher energy bills can signify energy loss through leaky ducts. Ducts may also fall into disrepair or become disconnected. A professional HVAC contractor at American Cooling and Heating can perform a thorough evaluation, seal leaks and repair or reconnect ducts. A contractor can also insulate ductwork that passes through areas that do not receive cooling and heating, such as attic, garages and crawl spaces. Lower repair costs and fewer repairs. More comfortable rooms because the system will have the efficiency to reach every room with even temperatures. Cleaner indoor air because irritants and allergens cannot sneak into the duct system. Environmental stewardship because of conserved energy. Peace of mind, knowing the HVAC system is running efficiently and is safe. Sealing leaky ducts is a good step toward energy efficiency. American Cooling And Heating also recommends comprehensive preventive maintenance in addition to duct sealing. Routine service extends the life of your equipment. Both duct sealing and preventive maintenance can pay for themselves in lower energy bills, fewer repairs and lower repair costs. 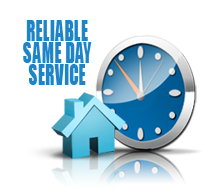 "Our HVAC Service Team can quickly and efficiently perform Air Conditioning and Heat Pump Repair or Replacement. We provide AC Service for Mesa, Tempe, Chandler, Gilbert, Scottsdale, Phoenix, Glendale, Peoria, and all surrounding areas in Arizona. " "We provide AC Repair and AC Replacement of Carrier, Goodman, Amana, Rheem, Trane, Lennox, Ruud, York, and all brands and types of Air Conditioning and Heat Pump Units and all AC Systems. 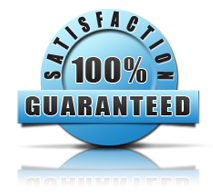 Our expert technicians are courteous and polite and will provide you with the highest quality of Service, all of our Service trucks are fully stocked to get your Air Conditioning or Heating System up and running asap."